For Kalli Heffner Gay it was all about that magical, Cinderella feel. 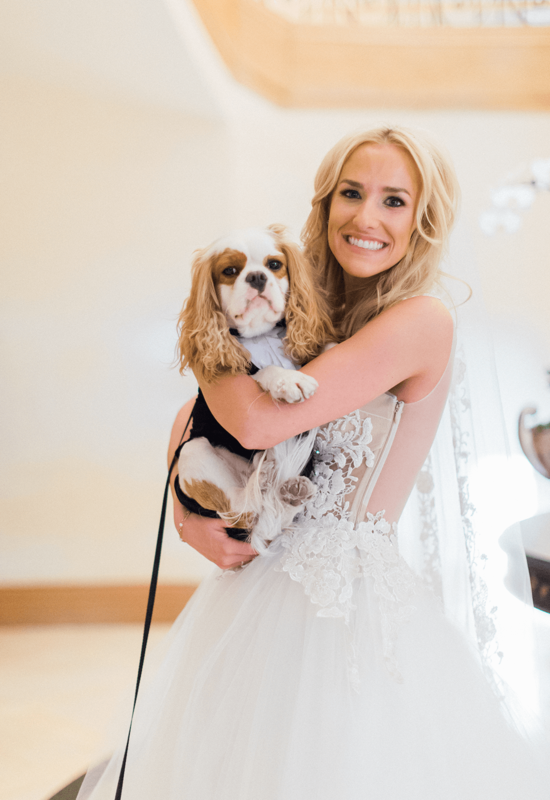 When she married her soulmate, Andy Gay, on April 8, 2017 at the Four Seasons Hotel in Las Vegas, Kalli wanted to experience her piece of the bridal fairytale. 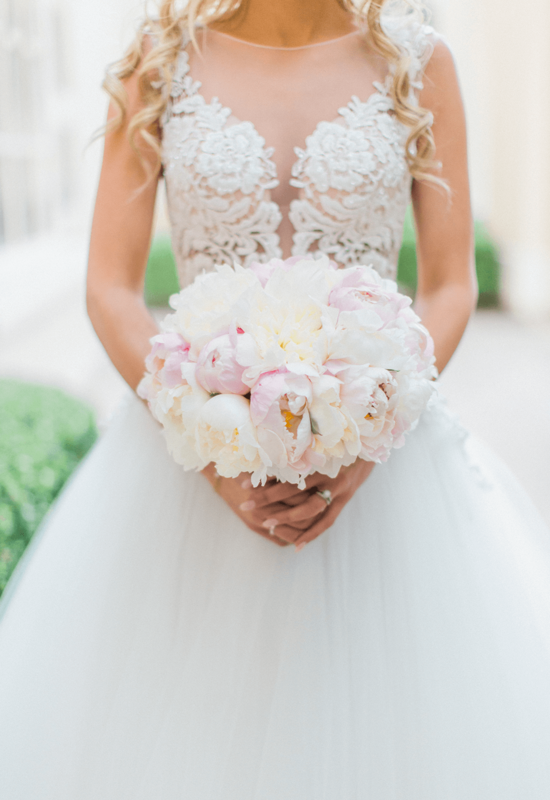 As she floated down the aisle in her ethereal A-line ball gown, it was clear on her face that her wedding dreams were coming true. 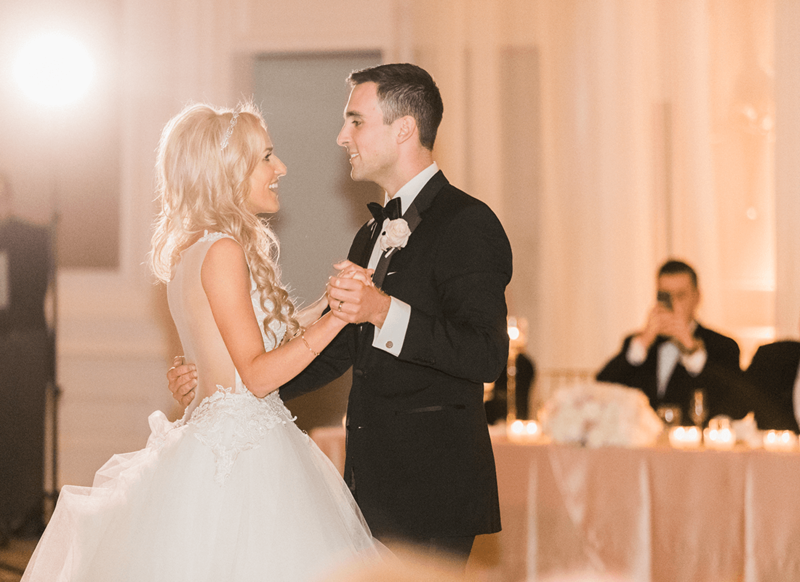 There was no doubt in Kalli’s mind that she wanted to be a Pnina Tornai bride, so the decision to make a trip to the Pnina Tornai Boutique at Kleinfeld Bridal was an easy one. Since she was coming to New York all the way from Seattle, Kalli wanted to do a “test run” at the salon to look for gowns before having her mother fly all the way across the country. Therefore, for her first trip to the famous salon, Kalli was accompanied by her bridesmaid and another fashionable friend. Kalli went into the appointment with an idea of some details she wanted in her gown. She knew for sure that she wanted a sheer back. Kalli was also looking for a gown that had illusion sleeves and a high neckline. Kalli kept an open mind and began trying on gowns. It did not take her long though before she fell in love. 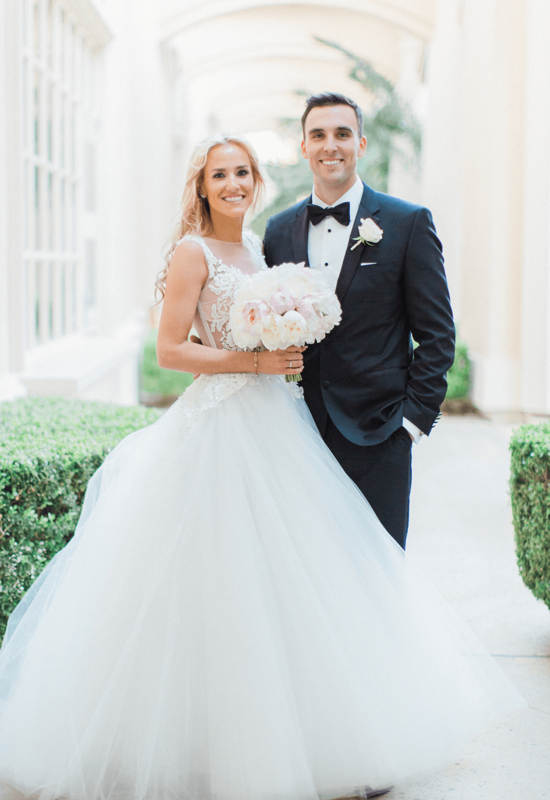 A few gowns into the appointment Kalli tried on an A-line Pnina Tornai ball gown with a lace embellished illusion bodice, sheer back and tulle skirt. For Kalli it was love at first sight! 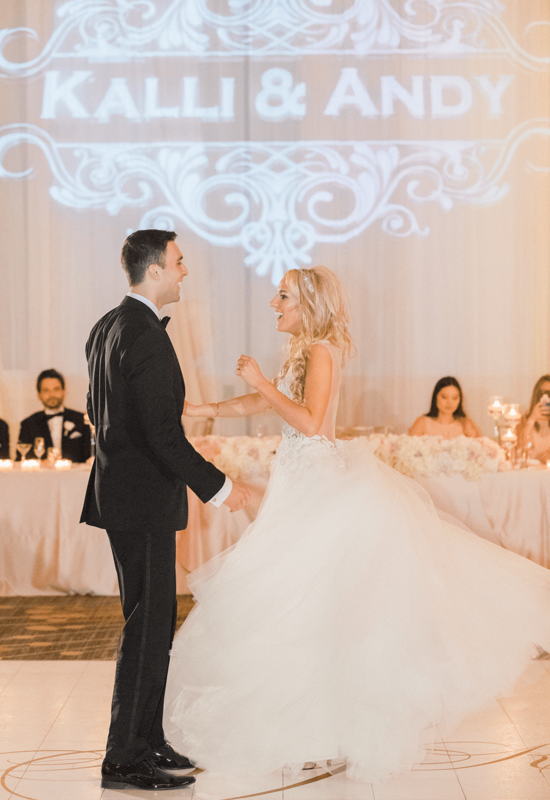 Completely head over heels for this gown, Kalli came back to the Pnina Tornai Boutique a second time to show her mother and grandmother a few weeks later. To see if they agreed with her choice, Kalli didn’t tell them which gown it was and tried it on with a few other gowns. With everyone’s approval and love of the dazzling gown Kalli said yes to the dress! Even though the gown didn’t have the details she thought she wanted, it gave her the most amazing Cinderella feeling. The gown came together in such a way that Kalli was mesmerized by its beauty and loved the details it did possess. For starters it matched the “big dress” look that she wanted for her wedding day. Kalli knew she was having a big wedding and the gown matched beautifully with the venue she had already chosen. Since Kalli had initially wanted her gown to have some sheer components, she loved the sheer back that the gown had. To make it even more dramatic, Kalli had some of the lace removed from the back of the dress to let the illusion really shine. 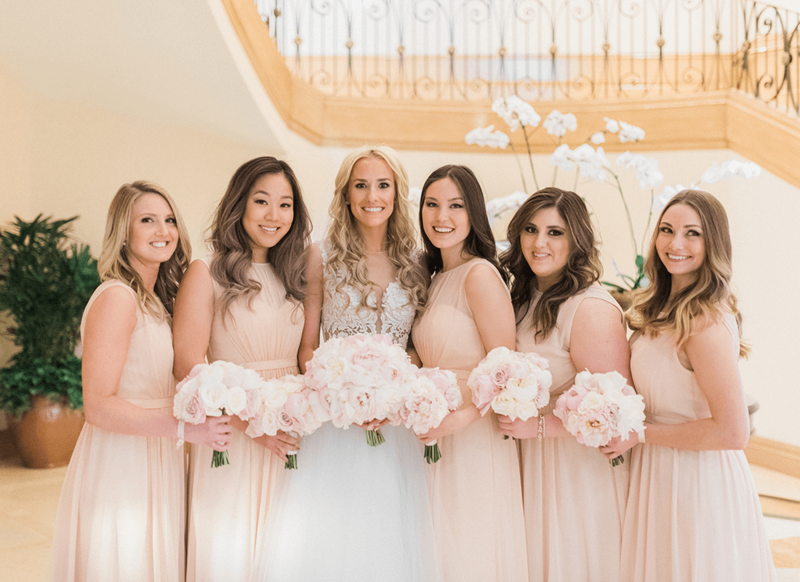 The illusion neckline worked out perfectly for Kalli because it gave her both the sheer component and the coverage aspect she was looking for from a high neckline. 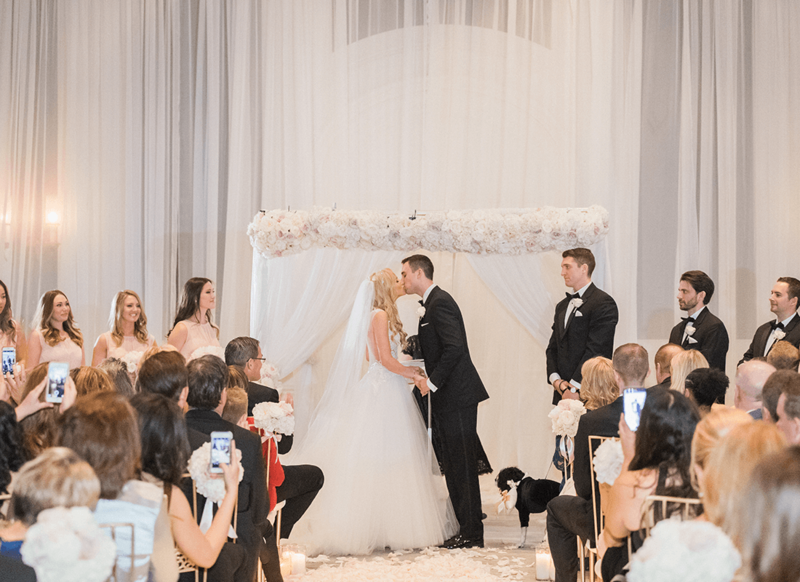 To complete her wedding day look, Kalli bought an ethereal, cathedral length Pnina Tornai veil to wear during the ceremony. It looked stunning when clipped into her long and flowing hair with a crystal headpiece. Kalli explained that she isn’t huge on jewelry so for her wedding day she only wore jewelry that held sentimental value to her: Tiffany blue diamond earrings that her father gifted her the night before and a pearl bracelet that her late grandfather had gifted to her grandmother. 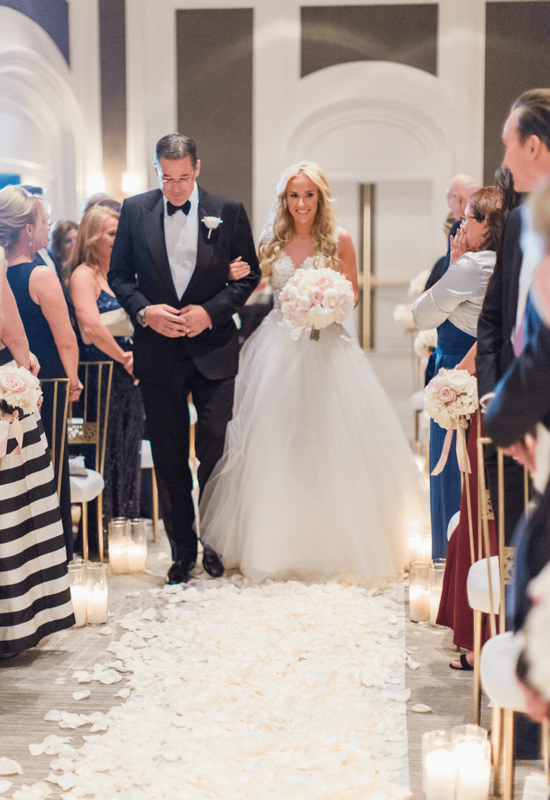 When Kalli’s special day came around everything felt like a fairytale to her. 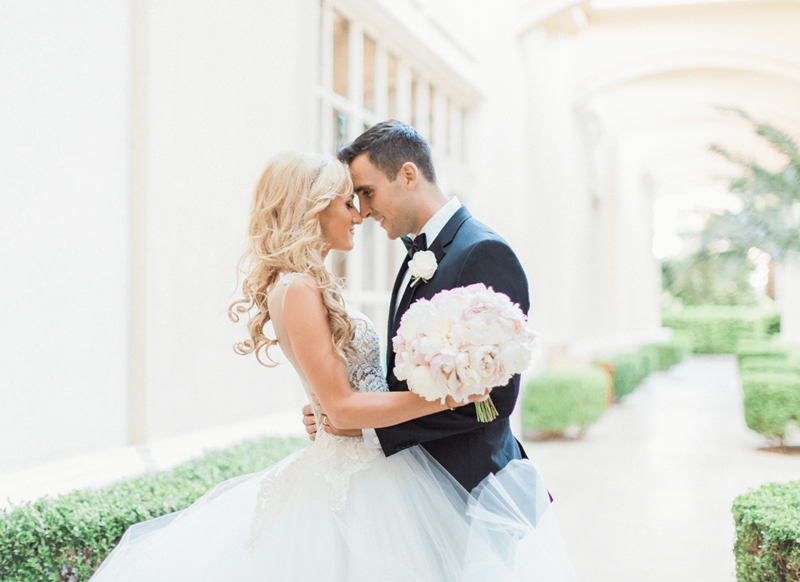 In love with her tulle ball gown, Kalli couldn’t help but to twirl around all day long as the light and magical gown swirled around her. “I’ve never loved wearing something so much in my life,” Kalli gushes. 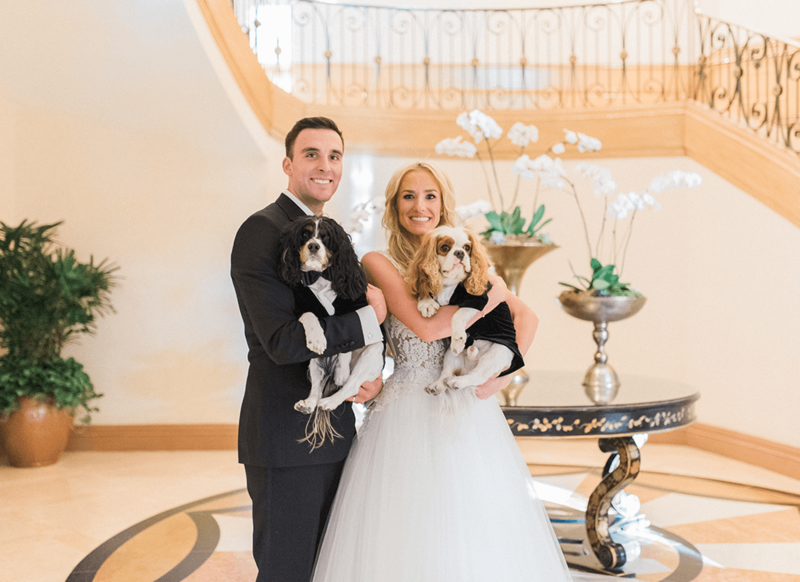 Surrounded by her cute pooches, Bingley and Sherman, her bridesmaids in blush, and the gorgeous setting Kalli and Andy had created for their guests, Kalli was living her princess wedding dreams. Radiant in her divine wedding gown and marrying the love of her life, for Kalli everything was simply magical.